As a focal point in a designed space, the new Regency Liberty L965E keeps the focus on the fire with one of the largest viewing areas available in the Regency line. The L965E permits finish materials to be installed to the edges for a pure, unadorned appearance. Excellent for larger living spaces, this fireplace features authentic hand-painted logs molded from real logs presented on a glowing bed of embers. 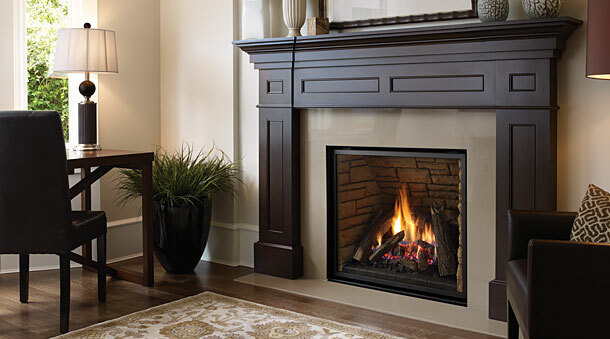 An adjustable burner system allows the flame to be controlled for mood and comfort from a roaring fire to a gentle glow all from the convenience of a hand-held remote control.